Where's Hugh Jackman when you need him? Researchers at Stanford University might have made the batteries that sit behind the screens of our mobiles and tablets a lot better. They'll soon be able to repair themselves. You won't be able to physically smash them to pieces then watch them reform before your eyes, but inside the new batteries, something very similar happens. This is a result of the techniques developed in chasing larger power packs, increasing the energy density while allowing retention of the same form factor that we are all used to. One of these techniques has been to incorporate silicon into the cathode. This allows more energy, but leads to an unusable battery after a few discharge cycles. Silicon is prone to cracking, as it expands when packed with electrons to increase power. 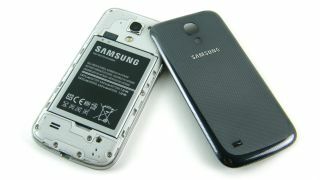 Once cracked, the broken silicon is unable to hold charge. This has been remedied with a newly developed polymer coating. Research from Chao Wang at Stanford University, California, and Hui Wu of Tsinghua University, Beijing, led to the realisation that by deliberately breaking certain bonds, the chemical bonds would be attracted back. According to Stanford Professor Zhenan Bao, they "found that silicon electrodes lasted 10 times longer when coated with the self-healing polymer, which repaired any cracks within just a few hours". At the moment, electrodes are only working without fail for around 100 charges, although the hope is that this technology will be able to cope with 500 cycles in phones. Advancements in battery tech will be blessing as we've noticed that modern smartphones demand more power than ever. This can be seen by looking at HTC's two 5-star flagships. Advanced technology coupled with an increase in screen size mean that the HTC One's power pack is around 65% bigger than that of the original HTC Desire. We're hoping this soon becomes reality, although we're more sceptical about the designs of transparent batteries.